Red Squirrels are found throughout Nearctic coniferous forests where they defend territories year-round (they don’t hibernate). 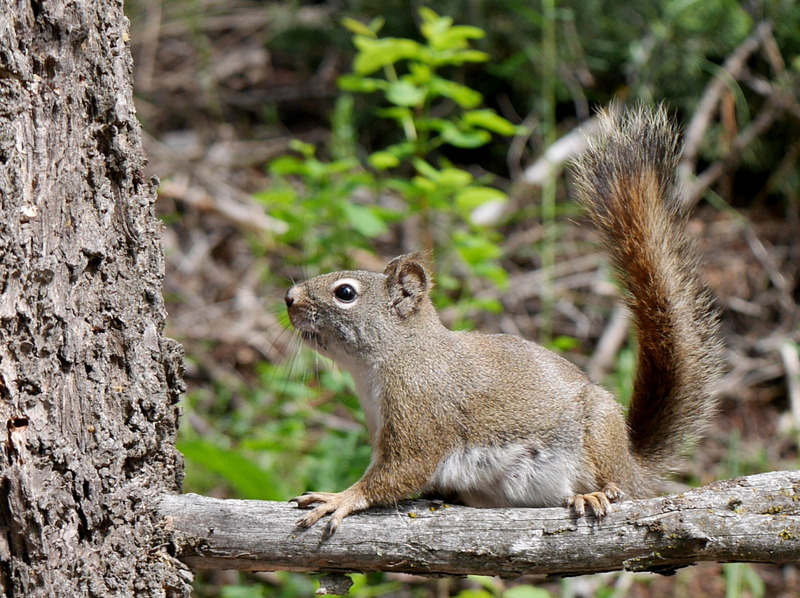 In the summer, squirrels will collect cones, seeds, and mushrooms in large caches which they feed from throughout the winter. As they eat these cones, they discard the scales in massive piles, called middens, which can grow to be over a meter tall. Winters here in Montana tend to be devoid of active fauna, however, these squirrels will angrily chirp at snowshoers and cross-country-skiers that wander through their territories.